Halloween is one of the best holidays! 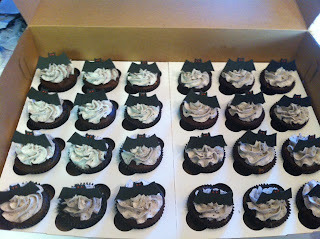 It's so fun to dress up and even more fun to make yummy treats for everyon'e parties. 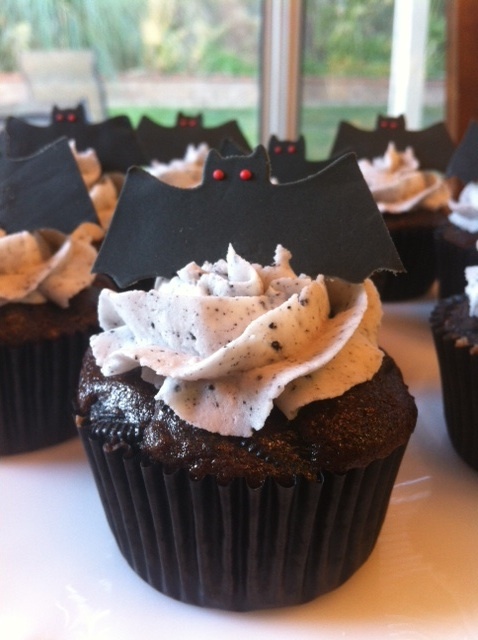 Here are some delicious Cookies and Cream cupcakes with fondant bat toppers. These were as yummy as they were cute! Here you can see the giant pieces of Oreo cookie peeping through. 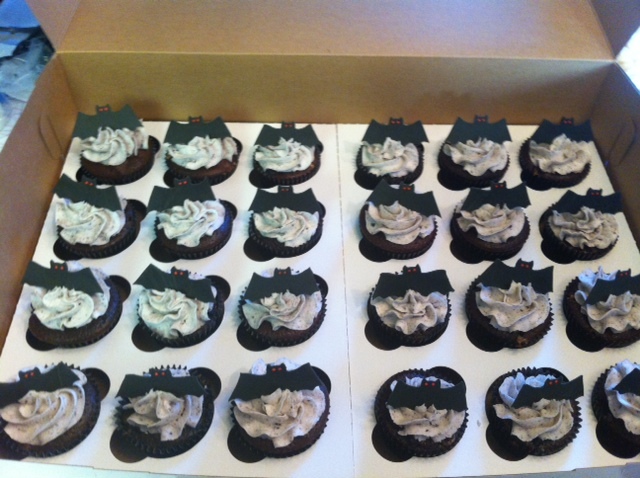 These are delicious cupcakes.